Pentax have announced a new middle of the range camera: the K-30. 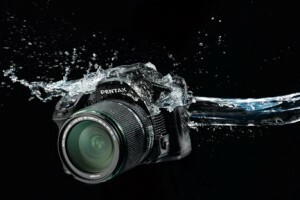 With 81 seals, the camera is water and dust resistant; setting it apart from its competitors in the same price bracket. It uses the 16mp CMOS sensor found in other Pentax cameras such as the K-5 and the mirrorless K-01 which we review in the upcoming June issue of PhotoComment Magazine. The 100% optical viewfinder is also rare to nonexistent in this price category. It offers 6 frames per second in ‘Continuous High’ mode which is faster than other conventional DSLR cameras in its class. As with other Pentax models before, Shake Reduction takes place in the camera; meaning that all lenses used on it are essentially stabilized thanks to the mechanism on the CMOS sensor. The Autofocus system is also said to be faster. Another feature unique to Pentax is the ability to not only power the camera with the supplied Lithium-ion battery, but – if you are caught with a flat battery and have the optional BH109 AA Battery Holder – you can pop in 4 x AA batteries and you are on your way again. Pentax have a long history in SLR cameras, particularly in South Africa. Sadly, they fell behind in the digital race and much of that ground has been lost. That said, this new K-30 looks to be an exceptional machine amongst its peers, with an expected retail price of just under R10,000. We look forward to testing it out. I shoot Pentax and have a K20 and K5, I am extremely happy with both as well as my Pentax lenses. I do wish that the service was better from the South African agents.